This video documentation captures water entering the apartment at several locations. 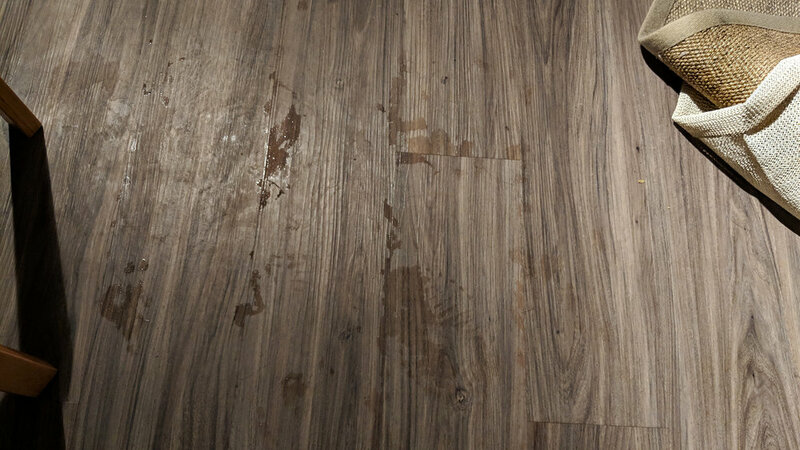 It shows me splashing my hand through a puddle of water which has flowed beneath the wood laminate floor and collected on the opposite side of the apartment, and has reached the front door. It includes footage of one of the living room windows, stuffed with all manner of towels and various absorbent materials, and water still flowing onto the floor as if coming in through a faucet. It details water seeping in through a previously patched crack in the bedroom ceiling, which indicates that the reason for the seepage was never properly mitigated. One doesn't have to be a Structural Engineer to see that Algonquin Apartments Building 3 is rife with issues regarding weather sealing and insulation. Water seeping up from beneath the seams in the Floor. More Water seeping up from beneath the seams in the Floor.